Police have issued a warning about suspected dognappers marking fences and walls to signal the location of a potential target. The alert, sparked by an incident in Ellesmere Port, comes as images appearing to show such markings are being shared online in other areas. 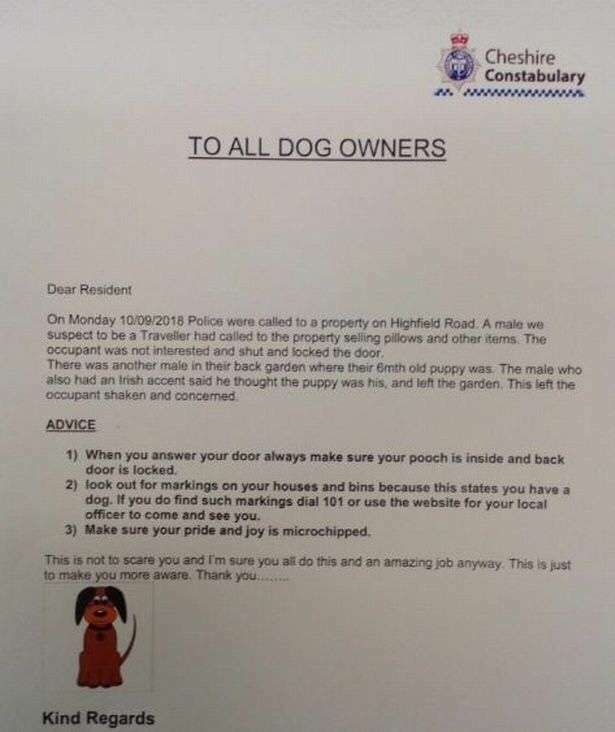 Cheshire Police sent a letter addressed to “all dog owners” in a neighbourhood of Ellesmere Port after a suspicious incident this week. Officers explained a man selling pillows knocked at a home in the town, only for the occupant to turn them away. When they went into her back garden, where their six-month-old puppy was, the homeowner found a second man trying to claim the dog was his. He eventually left the garden but the owner was “shaken”. 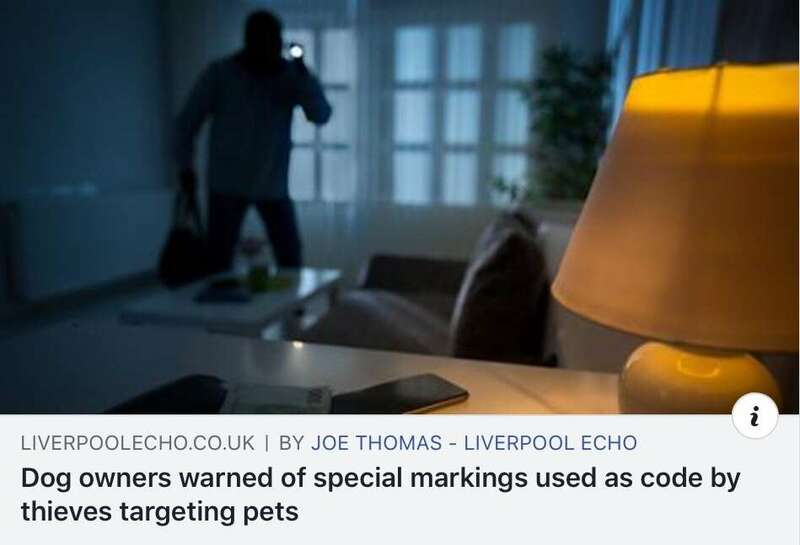 Advising dog owners to microchip their pets and make sure they bring their dogs inside and lock the back door when answering the front door, they also warned about the markings. Just this week dog owners have been warning others they have found white lines marked on their homes in Skelmersdale. Posts highlighting concerns the markings are being left by would-be dog snatchers have since been shared hundreds of times on social media.